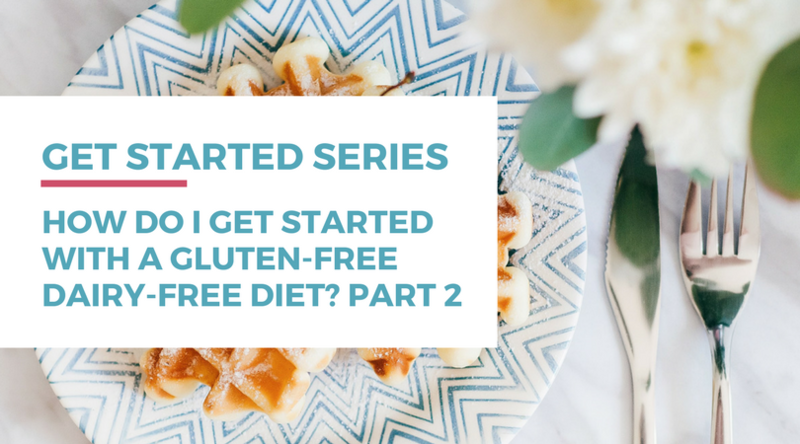 Over the past few years, the most common questions I’ve received have been in relation to knowing where to start with a gluten-free dairy-free diet. If you missed yesterday’s post, I answered question 1, all about how to know if you should be cutting out gluten and dairy from your diet. Today, I’m answering the second question – and tomorrow, I’ll cover the third. 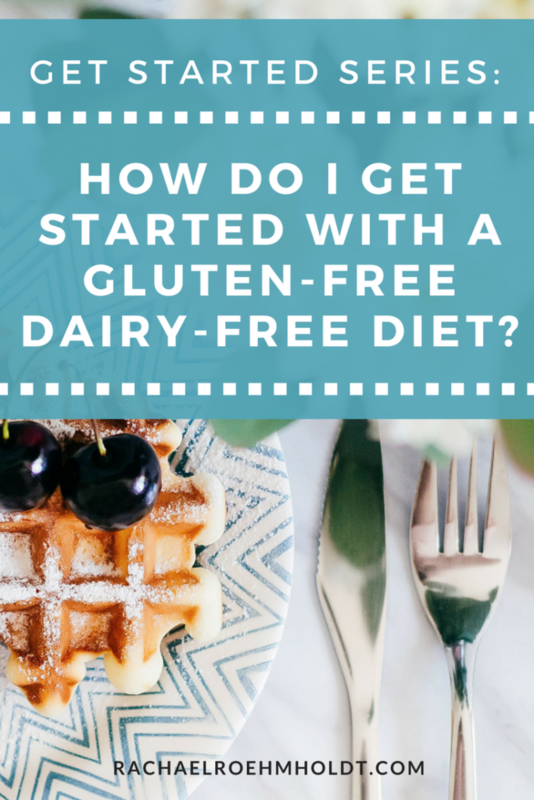 Follow along as I answer each of these questions and get you the answers you need to know if a gluten-free dairy-free diet is right for you. How do I go about getting a blood or food test to find out what I’m intolerant or allergic to? Do I need to go gluten-free and dairy-free? First, I’ll preface this answer by saying you don’t HAVE to get a blood test to find out if you have an intolerance. This is entirely up to you and I’m here to give you permission to change your diet without needing a doctor to tell you what you should or shouldn’t do. The main reason is that you know your body better than any doctor would. Of course, I recommend that if you do make any big changes in your diet that you let them know so that if there are risks associated with your health, they are aware. But generally speaking, I’d say if you’re healthy otherwise, you can do what you want with your body. Usually when someone asks me about the blood panel test that I took, they’re usually referencing the blog post I wrote a few years ago (it’s here if you want to reference it). I mention in the post that while I was pregnant, I started craving dairy and started eating it again in moderation. Well, then a few months after having my son, I had a few week bout with hives so I decided to see a naturopathic doctor to get some answers. I discussed at length what was going on with me and she offered me a blood panel food test. Even despite the cost (I can’t remember exactly now but I think it was between $200 and $300 – not cheap! ), I wrote a check on the spot and she did the blood draw. I was so desperate for answers, I just didn’t care anymore about anything but getting the information I needed to make a change. And honestly, after chatting with the doctor about it, she recommended only three foods stay out of my diet: gluten (because it already was out of my diet for so long), dairy (because it indicated an allergy, not just an intolerance), and eggs (because the intolerance levels were so high). She said that I was so inflamed overall that she didn’t trust the test entirely to be accurate. So we started there – cutting the eggs, dairy (again), as well as almonds, hazelnuts, beef, and sugar – and I saw improvements in my hives and digestion again. I wound up bringing back beef, sugar, almonds, and hazelnuts back with no issues after a few months. I have tested dairy and gluten back in in small quantities and tolerate it, but there’s quite a threshold from being okay to ‘oh dear that was a mistake’ so I still go by being gluten-free dairy-free and egg-free. I still have yet to test eggs back in, even after 3 years, because it was so traumatizing with the hives, that I’m scared to bring them back. I keep saying I’ll do it, but there’s never a good time to have a negative food reaction, so I keep putting it off. Someday, I’ll do it! Okay, back to the food blood panel test! You can get a blood panel test from an allergist/immunologist. You could probably also find a naturopathic doctor to perform one for you. You can even purchase an at-home test kit where you do the entire kit yourself. I’ve tested and recommend one of them – it’s by EverlyWell and you can see the demo video I created on the product below. What you’re looking for is an IgG test to test for food intolerances. A food intolerance is simply a hypersensitive immune response to a food when it enters the body. In comparison, an IgA test tests for food allergies, which can indicate or result in a full-blown allergic response or anaphylaxis. Intolerance does not indicate an allergy – and the body’s response to an intolerance is usually much less severe than an allergic reaction, even if the symptoms can be similar. There is more than one way to determine if you have a food intolerance: an elimination diet and an IgG blood test. One isn’t more “valid” than another – and if the only validation you need is to feel better in your body, then an elimination diet is much cheaper and easier to obtain than a blood panel test. >> Read on with this blog post: Do I have food intolerances or food sensitivities? Here’s how to find out. If you are ready to start testing on your own through an elimination diet, be sure that your doctor is aware of any major diet changes you’re making and any larger health implications this may cause. 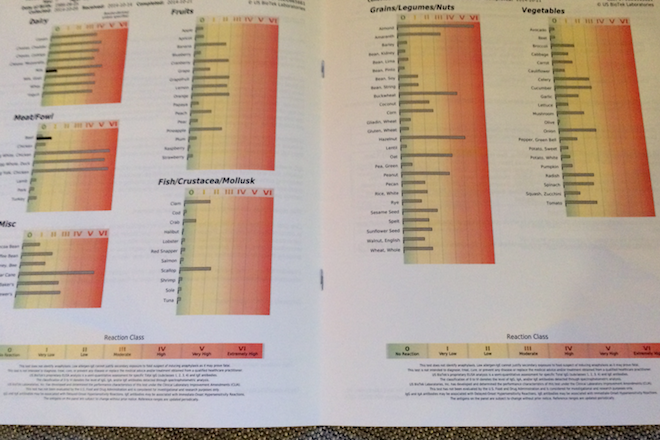 I have a free downloadable and printable PDF Food Journal to help you along the way if you’re interested below. Enter your details for instant access.